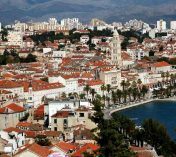 The tour starts in the magnificent town of Split with its numerous archeological, historical and cultural sites that you will explore in depth with your local licensed tour guide. From Split we will venture south to Bol on the island of Brac, where we will visit the famous “Zlatni Rat” beach known as the “Golden Horn” is reputed to be the most beautiful in the Adriatic. 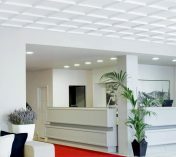 Upon arrival to Split airport, you will be transferred to the hotel. Rest of the day at leisure in Split and overnight. Breakfast at a hotel. Morning at leisure to enjoy the magnificent town of Split with its numerous archaeological, historical and cultural sites. Transfer from hotel to port of Split, to take the catamaran from Split to Bol (Brac Island). Upon arrival transfer to hotel and overnight. Breakfast at a hotel. Day at leisure in Bol, the oldest settlement in Brac. The famous “Zlatni Rat” beach known as the “Golden Horn” is reputed to be the most beautiful in the Adriatic. Overnight. Transfer from the hotel to Bol port (time depending on catamaran schedule) to embark to the catamaran to Jelsa on Hvar Island. Upon arrival to Jelsa, transfer to the hotel. Overnight in Hvar. Breakfast at hotel. Transfer from hotel to Hvar port for departure by catamaran to Korcula Island. Upon arrival transfer from port to your hotel. Overnight in Korčula. Breakfast at hotel. Korcula has a legendary past, deemed by many as Marko Polo birthplace and before that as home to one of the Homeric heroes: this quaint island offers secluded little bays where to hide away, unspoilt natural beauties and small towns of red-roofed houses. Enjoy day at leisure. Overnight at hotel. Breakfast at hotel. Transfer to Korčula port and take ferry to Dubrovnik.  Upon arrival transfer to your hotel and overnight. Breakfast at hotel. Day at leisure in Dubrovnik. Discover the charming city or book in advance your private tour. Surrounded by ramparts and fortresses, this ancient town is a treasure trove of architectural and cultural masterpieces, carefully preserved over the centuries. Take a pleasant walk to the Rector's Palace, the Franciscan Monastery with its 14th century Pharmacy, as well as to the other places of interest. Overnight in Dubrovnik. Breakfast at the hotel. Departure transfer to Dubrovnik airport. Regardless of whether you are visiting Split for business or for tourism, Art Hotel is only a few minutes away from the most important sights. 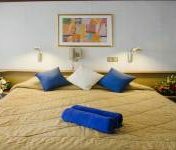 The Bluesun Borak Hotel is located in a peaceful part of Bol, surrounded by lush pine forests and crystal clear blue sea. 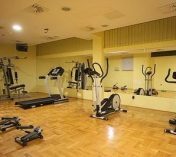 Borak Hotel is only 10 minutes away on foot from the famous Zlatni rat Beach. The Palace is ideally located in the heart of the old town overlooking Hvar Piazza, old town and marina. 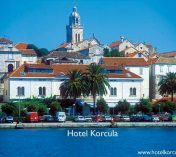 Hotel Korcula is the first hotel ever built in Korcula. It dates back from 1906 when tourism and travel was privilege of wealthy European middleclases. It is the oldest and most atmospheric accommodations in the town. 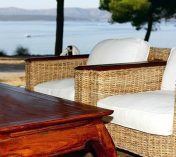 Hotel Petka is set 3 km from Dubrovnik's Old Town and 600 metres from the beach in Lapad Bay.Hotel Petka's two restaurants serve delicious Dalmatian and international cuisine and the bar is a cozy place to unwind and to enjoy the sea views.  Guests who stay in this area will also find a number of great bars, restaurants, and sites nearby. 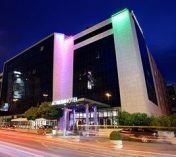 Atrium Hotel, a place for a perfect vacation, crowned with 5 stars and located in the centre of Split, Croatia. Elaphusa Hotel is located in the immediate vicinity of a true Croatian landmark – the most famous Croatian beach, Zlatni rat. 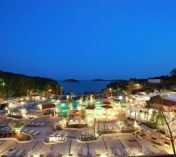 Elaphusa offers first-class hotel accommodation on the island of Brač, the pearl of the Croatian Adriatic. 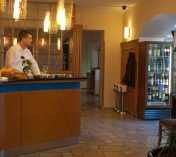 Recently renovated, the hotel consists of a reception hall, a restaurant, a café, an aperitif bar, a souvenir shop and a TV salon. The hotel has 94 rooms, capacity 210 person. The Grand Villa Argentina hotel combines elegant exclusivity with exquisite attention to detail. 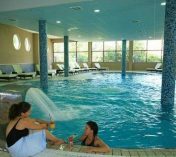 This luxurious hotel is ideally situated just outside the famed walls of Dubrovnik. Sitting on a steep edge leading to the sea, views of the Adriatic, the island of Lokrum and to the old harbor of Dubrovnik are available from throughout the hotel, its extensive gardens and seaside beach. Travelling through any of Croatia’s regions offers immense and rich experiences to every visitor. From the coastal to the continental parts, Croatia’s rich cultural heritage combined with its magnificent natural beauties make it the perfect place to spend your vacation. The capital of Croatia is Zagreb, a charming medieval city of exceptional beauty known for its spirit and architecture, with a population of approximately 1 million. The city with a tradition of almost one thousand years celebrated in 1994 its 900th birthday. Over the years, Zagreb has become the scientific, political and economic center of Croatia. The uniqueness of Croatia lies in its diversity. Situated between the Alps and the Adriatic Sea, Croatia provides visitors with the opportunity to ski in the winter and swim during the summer months, all within driving distance. With its 1.185 islands, islets and reefs, it is the most diverse coast on the Mediterranean. 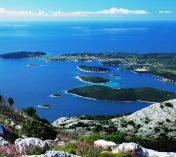 There are seven national parks in Croatia, three being in the mountainous regions (Risnjak, Paklenica and Plitvička Jezera), and four in the coastal regions (Kornati, Brijuni, Krka and Mljet). 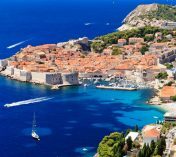 To mention a few, Croatia is home to the Old City of Dubrovnik, Diocletians Palace in Split, Euphrasies Basilica in Poreč, the lakes Plitvička Jezera and many others. Croatia boasts the largest number of developed settlements in southeast Europe, in addition, many of which date back to Roman and medieval times. Rarely can you find so many examples of cultural and historical significance from different periods in such a small region. Split is the second largest city in Croatia, and the regional capital of Dalmatia, built inside and around the historical Diocletian's Palace from the third century, included in the UNESCO world heritage list. Many of Split's historical and cultural monuments are located within the walls of Diocletian's Palace. One of them is Peristile, the main open space in the palace with its colonnade of six columns and the cathedral on eastern side. Split has its own airport that connects it with Zagreb, as well as other international cities. Various ferry lines connect Split with the nearby Adriatic islands and there is a coastal ferry service between the city and Rijeka to the north and Dubrovnik to the south. There are also daily ferries during the summer that connects Split and Ancona in Italy. George Bernard Shaw described the city of Dubrovnik as "the pearl of the Adriatic" and said wrote home saying ""those who seek paradise on Earth should come to Dubrovnik," and it is true that many who have visited this sea-side crown jewel have remained both enchanted and amazed with the coastal beauty found here and the charm of the old town, which became a UNESCO World Heritage site in 1979. 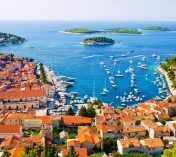 The centre of the sunniest Croatian island of the same name - Hvar is a unique blend of luxurious Mediterranean natural surroundings, layer upon layer of a rich cultural and historical heritage and sophisticated tourism. Located in picturesque natural surroundings on the south side of the island, surrounded by mighty medieval walls, magical fields and the scent of lavender, Hvar is a never-ending treasure of monumental heritage, culture and atmospheres. Its name originates from the word PHAROS - the Greek name for the island of Hvar and the town which was formerly in the place of the present Stari Grad (the Old Town) from which it took over the title as island centre in the 13th century. From its castle Španjol, high above the town, majestic views open up over the green Pakleni otoci (the Hell Islands) (ACI Marina Palmižana) and the open sea. The main city square in front of the cathedral by the Arsenal and the oldest European theatre from the 17th century are a favorite gathering place for tourists. Many museums hide valuable works of art (The Last Supper from the 15th century in the dining room of the Franciscan Monastery) and the Benedictine Monastery, famous for its lace making from agave fibres, is often visited.